Located in Jinan, Hanting Express Ji'nan Yaoqiang International Airport provides free WiFi. 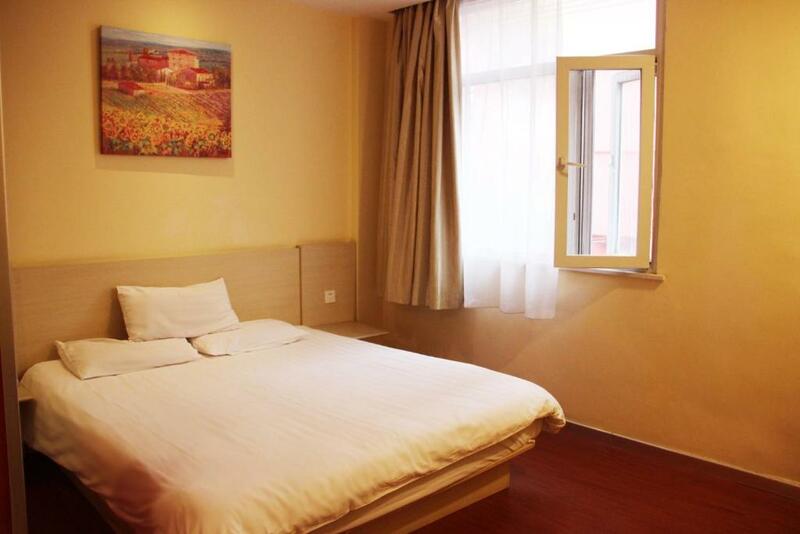 Ideally located in the Li Cheng district, this hotel is situated 26 km from Jinan International Convention & Exhibition Centre. Rooms are fitted with a TV with cable channels. At the hotel rooms come with bed linen and towels. Staff at the 24-hour front desk can provide tips on the area. Jinan Hongjialou Church is 32 km from Yaoqiang International Airport, while Shandong Provincial Museum is 33 km from the property. Jinan Yaoqiang International Airport is less than 1 km away. Your experiences are very helpful to other travellers. On a scale of 1-5, rate the equipment you have used during your stay at the hotel Hanting Express Ji'nan Yaoqiang International Airport and express your opinion. Your opinion is important! I certify that this review is based on my own experience and is my genuine opinion of this hotel (Hanting Express Ji'nan Yaoqiang International Airport), and that I have no personal or business relationship with this establishment, and have not been offered any incentive or payment originating from the establishment to write this review.